You have been thrust into the journey of all journeys….tasked to save the world from an evil sorcerer! You have been studying card magic at a wizard school, and must use your powerful skills to defeat the forces of darkness and defend Emerland from the evil that seeks to destroy it! 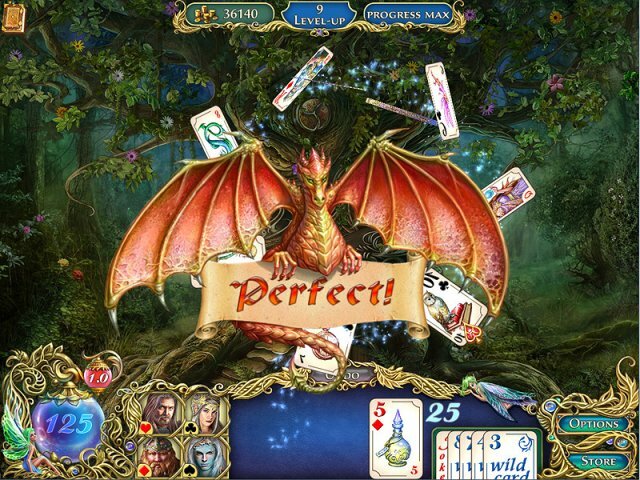 Unite the races of Elves, Humans, Dwarves, and Mermaids and defend the land in The Chronicles of Emerland Solitaire!